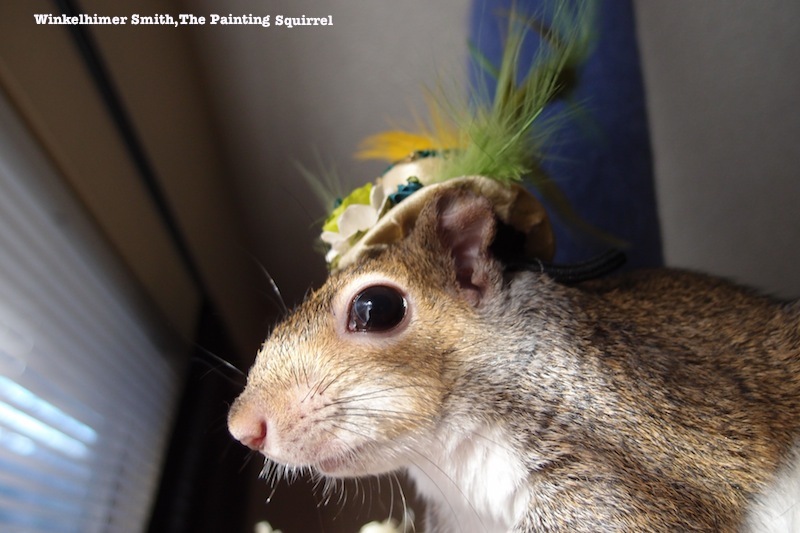 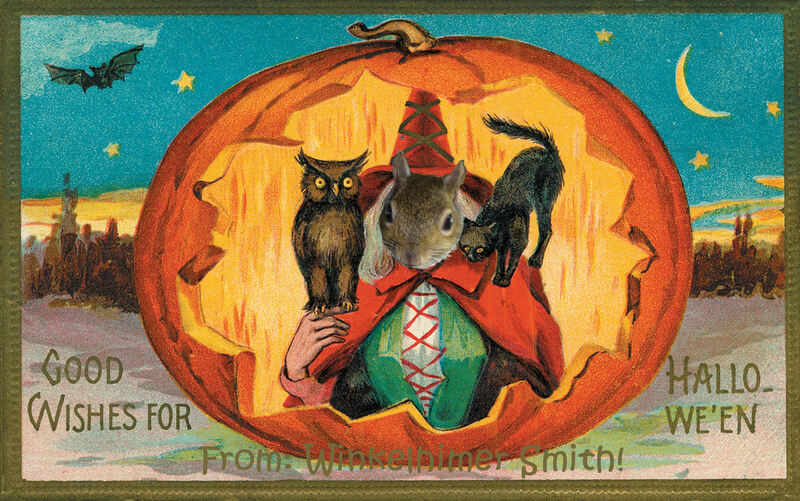 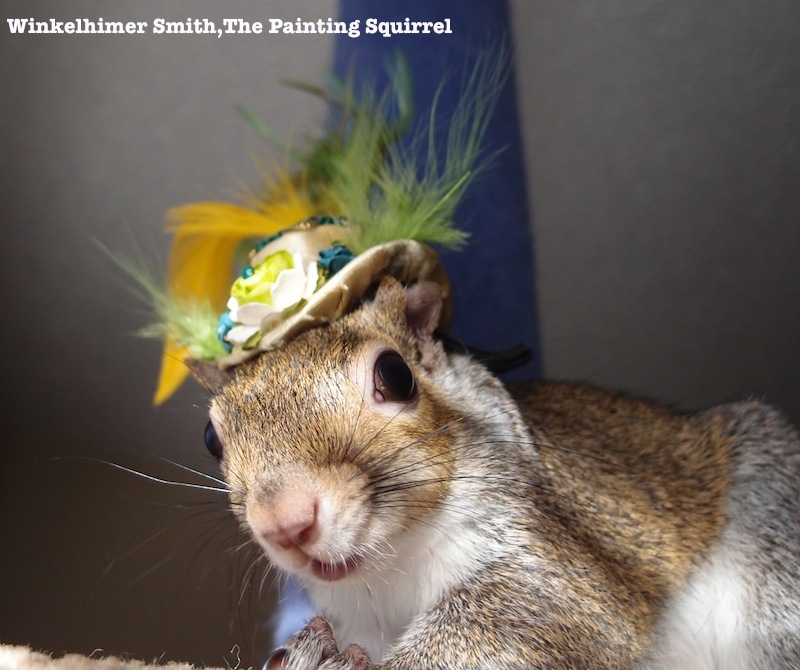 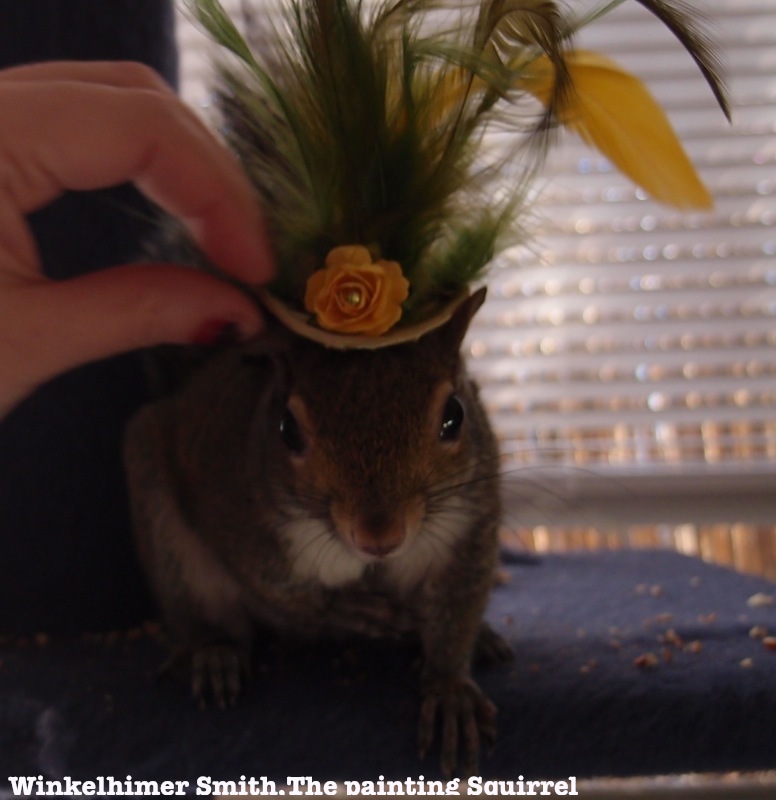 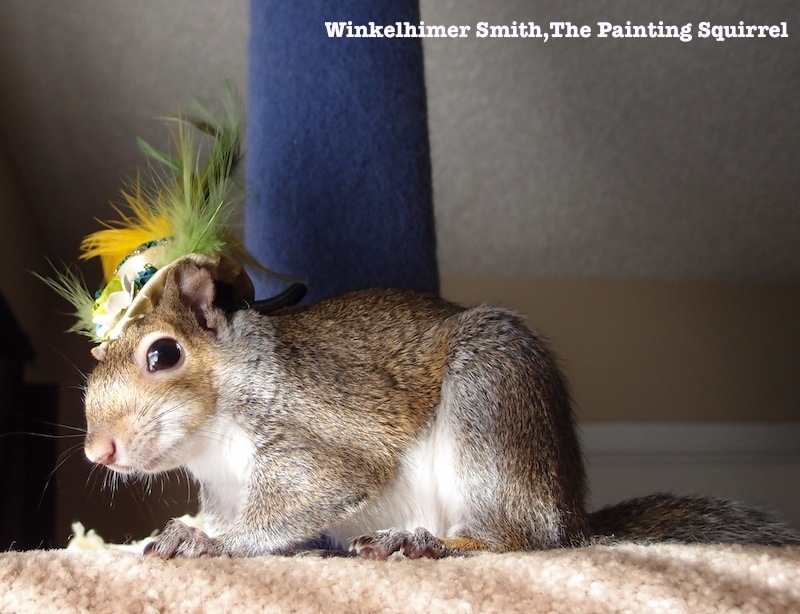 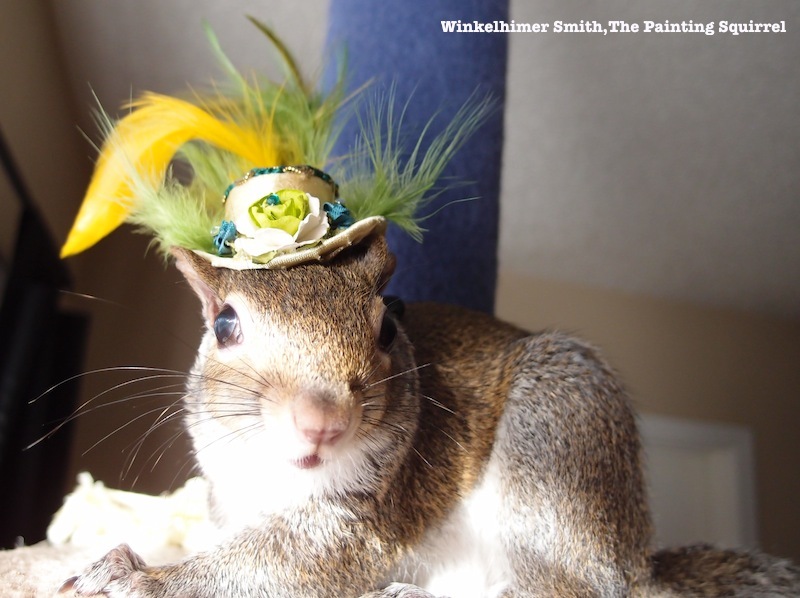 Photos of me in my new fancy new Squirrel sized hat. 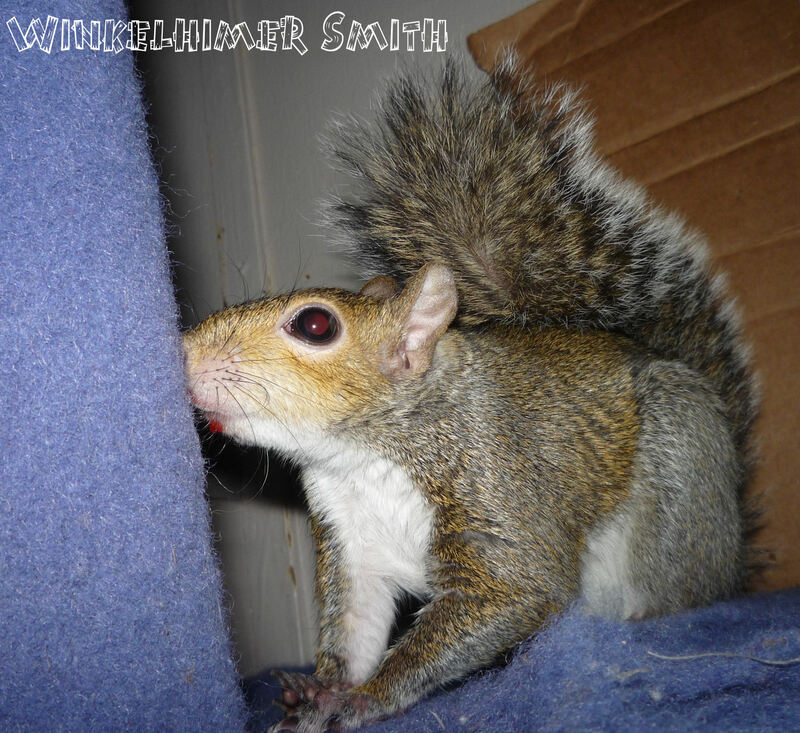 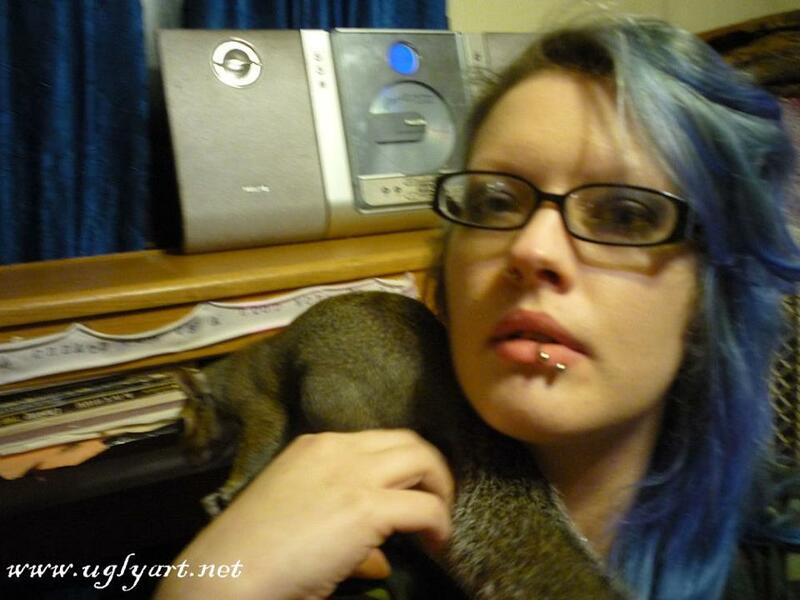 Some new pic’s of me.Me with Kool Aid mouth.I LOVE Kool Aid and Squirrel Mommy lets me have some once in awhile.With my eyes looking red and my red mouth I look like a squirrel version of Bunnicula!!! 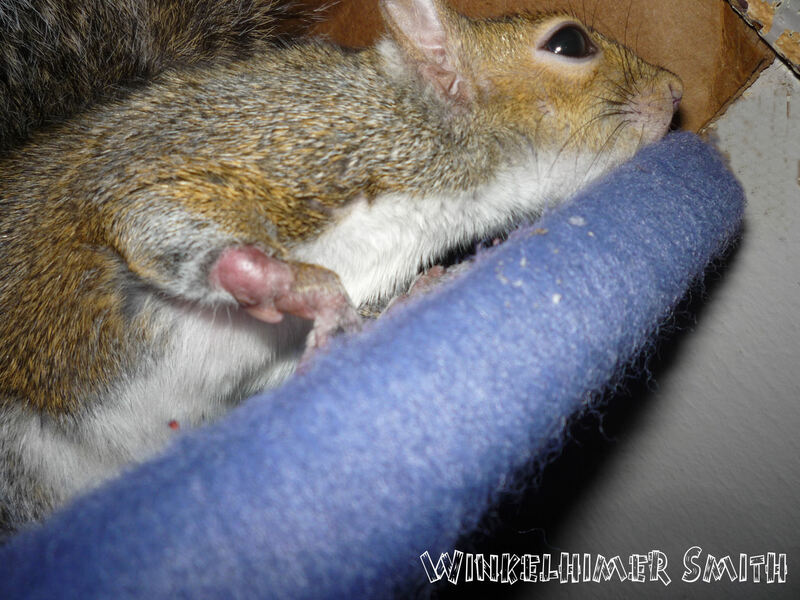 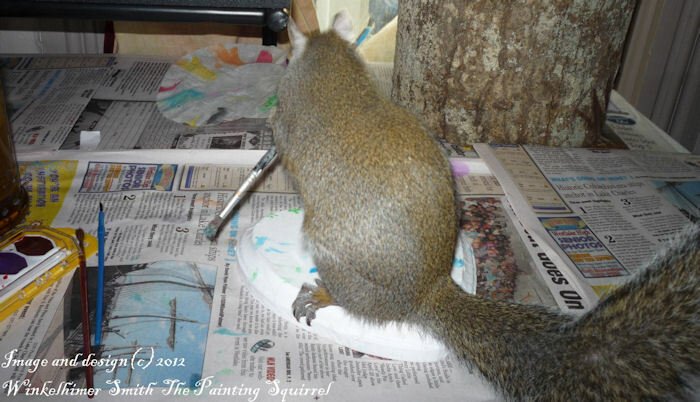 Me wiping my mouth after having Kool Aid,you can see how badly cripple my little hand is.And now you know why Squirrel Mommy will totally go off on people that say I don’t really paint.It’s amazing I can even HOLD a paint brush,much less paint. 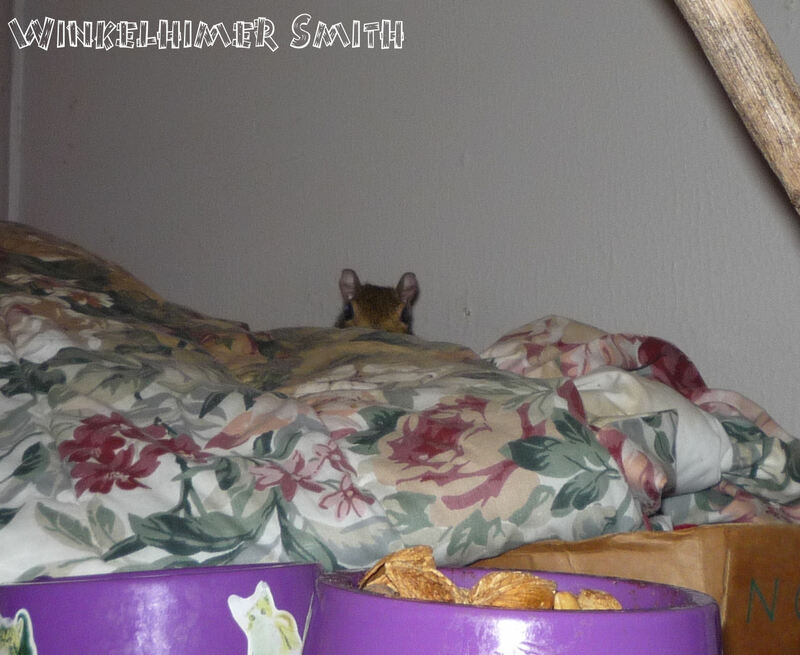 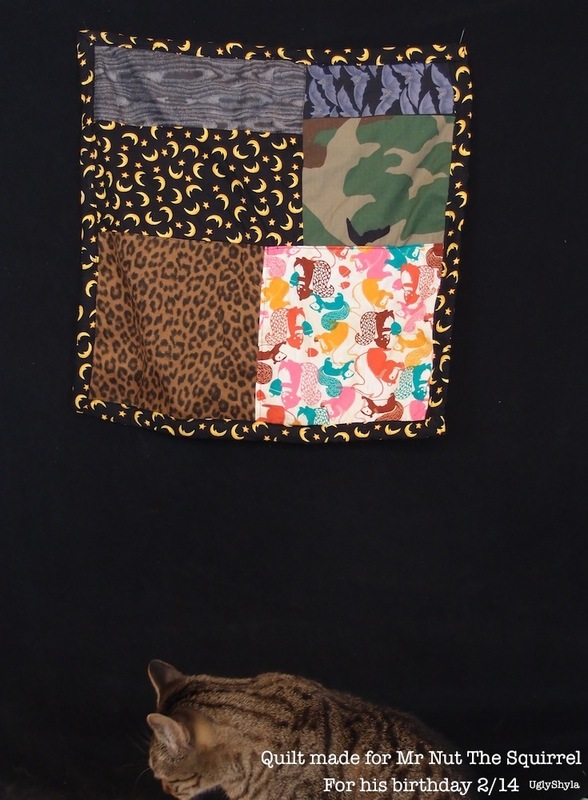 Me in stealth mode when I’m trying to be sneak and see what you are doing. 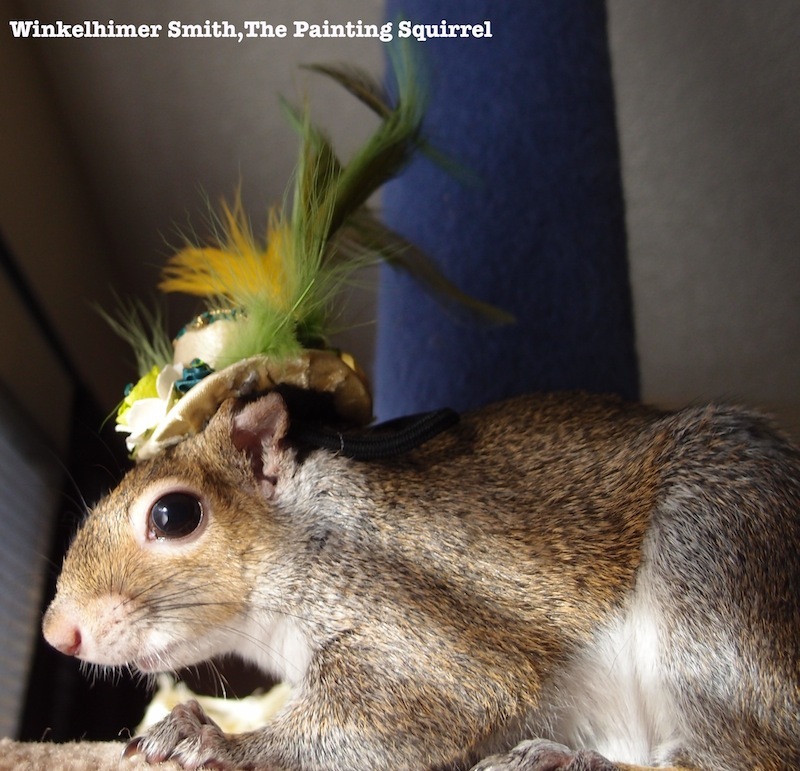 I have a new painting up for sale to help a squirrel rehab. 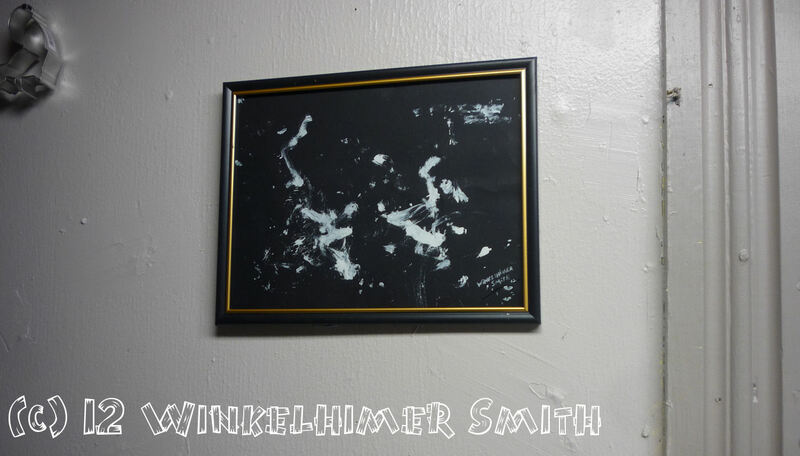 I have a new painting up for sale!!! 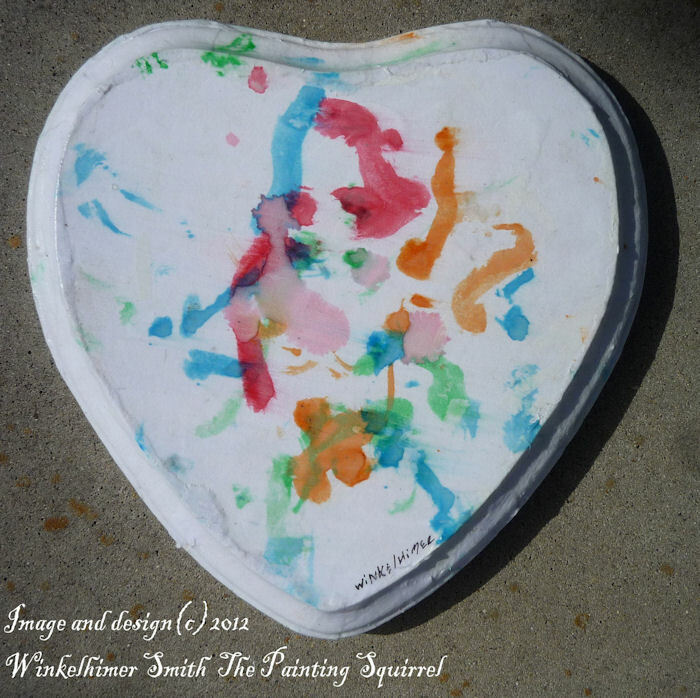 I have a new Heart Shaped painting for sale! 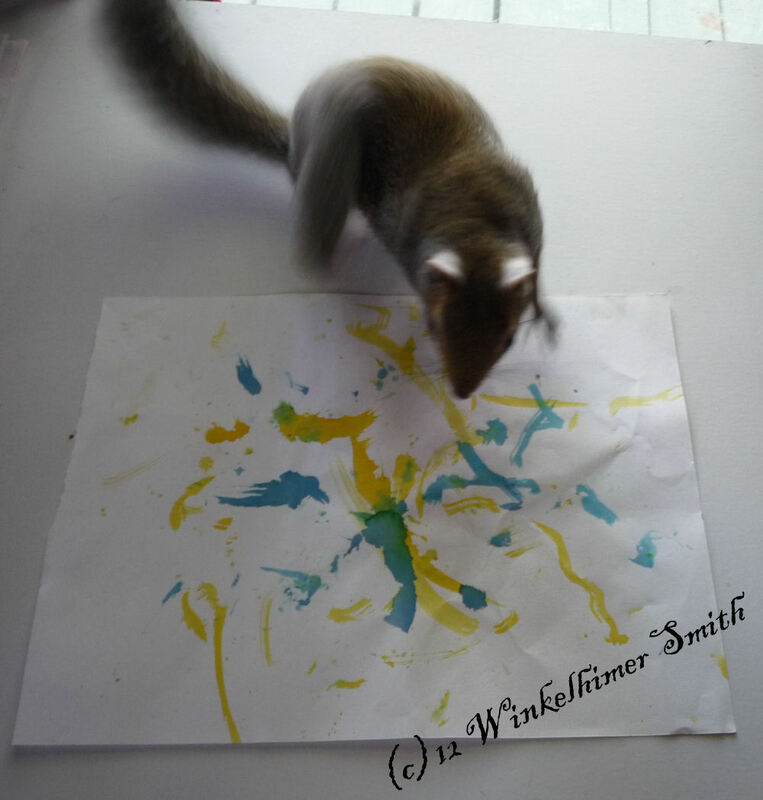 I have a new painting for sale!